Looking for the best Linden Mold Remediation services? Mold is a dangerous thing to have growing in your home. A mold remediation by a professional mold removal specialist is what you may need to get the air quality in your home healthy again. Here are some signs that there may be mold growing in your home. If someone in your home has common allergic reactions like sneezing, runny noses and congestion on a constant basis, there could be mold growing somewhere in your home. Noticing also that these allergies are worse when they are home, clearly there is mold growing. When there is mold growing within a home, there could be a musty odor that lingers on throughout the home. Do not ignore these odors have your home thoroughly inspected before any mold problems get worse. If a homeowner can see mold growth, even the tiniest bit they should immediately contact a mold removal specialist. Small mold areas can spread, and issues can get worse. It may look like dirt but ignoring visible mold in your home can lead to further larger problems. As soon as you have visibly seen what mold can be in your home, get it inspected professionally to rule it out. Some mold growth can look white and thread-like while other mold can be seen as black spots. There are many different colors and shapes that mold can show up as, have it inspected as soon as possible to get rid of it quickly. 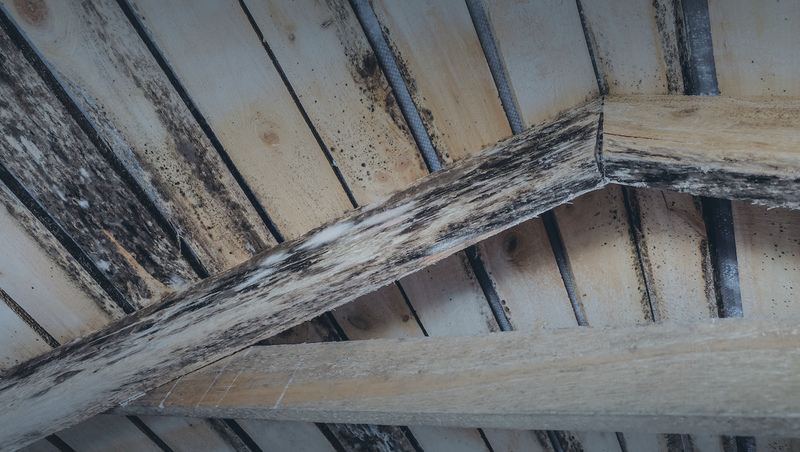 If a homeowner has had moisture issues on a constant basis, you can rest assured that there could be a mold issue growing. Signs of moisture problems can be water stains and discoloration on the walls of the home. Mold can be growing within or behind the material of the walls. If there is peeling or cracking of paint or wallpaper, this also can be a clue that mold is growing in the area. Mold growth from leaks can be hidden. Leaks can be visible or non-visible. If a home has had previous flooding issues, mold could have started growing, if the water was not professionally dried off and cleared from the area that may produce mold. Sometimes wherever you see lots of condensation, there is definitely an issue with moisture which then becomes a mold problem. Condensation occurs is places like glass windows and metal pipes. It builds up and collects. Rusting of pipes are also a sign of condensation happening in the home. Have a professional come a look at your home and evaluate where there may be an area that mold could want to grow. Searching for the best Linden Mold Remediation? Jun’s Mold Remediation is the company to hire. Jun’s Mold Remediation is the most trusted NJ Mold Remediation company. We are fully licensed to identify the cause of the mold and remedy the issue, so it does not come back. You can trust Jun’s Mold Remediation for all your mold remediation needs. Our experts at Jun’s Mold Remediation can review your home that may be experiencing effects of mold and provide a free estimate for mold removal and remediation. We examine areas that may attract mold. We find the mold problem quickly and effectively and provide you with options for expert removal. Contact us today at (908)322-1533 for a free estimate. Our priority is customer satisfaction. Our guarantee to you is simple. Come visit our website to see all we have to offer. Do not wait another minute and call us today, we can make your home safe again.